Theme parks are pretty awesome to visit, but the expense in getting to one, paying for a ticket, and waiting in lines usually is much less enjoyable. So, why not just go to a digital theme park instead? That’s the possibility that Atom Universe presents. 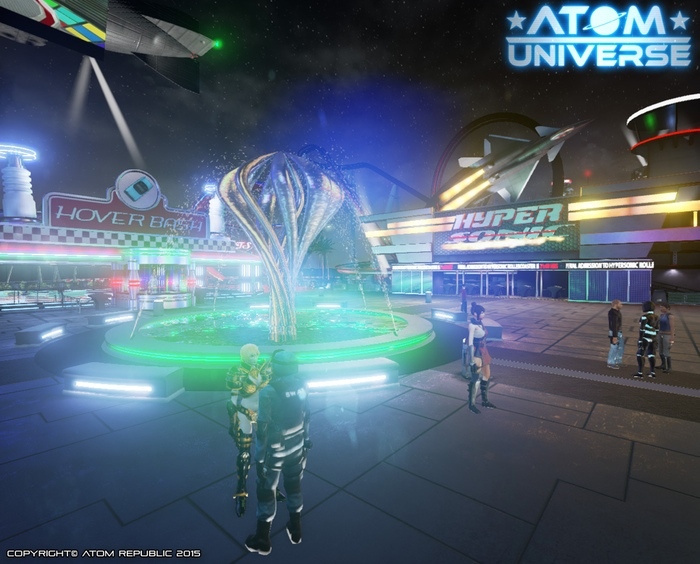 Via an MMO, players will be able to all visit this neon, slightly futuristic theme park world and partake in the different rides and games there. Of course, given the online nature, they’ll also be able to interact with other players for social enjoyment as well. Developer Atom Republic are running this Kickstarter for Atom Universe to get it off the ground. A successful funding of approximately $30,000 (converted from Pounds) will allow them to create a working online with hub for the theme park as well as three rides: Minikart Race, Shooting Gallery, and Motor Stunts. It seems a bit odd to me that two car-themed games would be the first focus instead of trying to differentiate each of the three initial minigames, but it’s not as if this is all that they’ve planned for. The team hopes to release new updates with new rides and games on a per month basis as they grow their userbase post-Kickstarter. As of the first week, Atom Universe is trending quite well with funding. 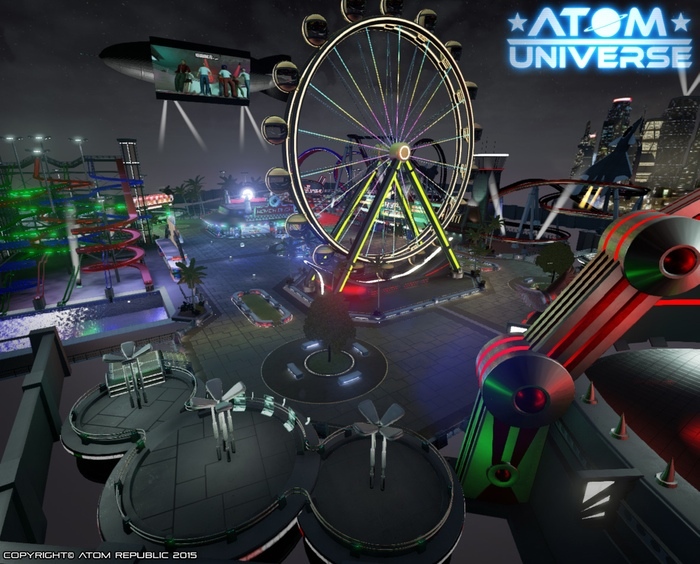 If they can keep it up then there’s a good chance we’ll be able to explore Atom Universe’s digital theme park world in the near future on either PC (presumably for Windows OSes) or PlayStation 4. Track the progress of the Atom Universe Kickstarter in our Campaign Calendar.